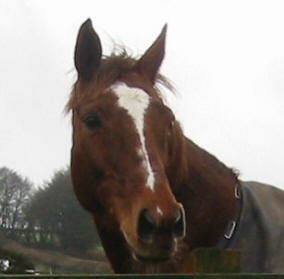 Sarcoids affect the skin of horses, ponies or donkeys, and are commonly viewed now as a type of tumour. The exact cause is not conclusively known, although veterinary research suggests that some horses maybe carriers of a virus which may cause some sarcoids. But it is not known whether they are contagious, and some breeds appear to be more prone than others. Also, some Vets suggest that flies maybe part of the cause and may carry a virus which they spread through sitting on the equine. There are different types of sarcoids - varying in appearance, and some being more common on other parts of the equine body than others - e.g. "Occult" sarcoids which look similar to ringworm, are often found on the face. If you're in any doubt about any skin lesion, wart, lump or bump, then do speak to your Veterinary Surgeon to get a diagnosis as to what it is. Any ailment, (sarcoids included), are best diagnosed at an early opportunity as possible so the best treatment can be started. A sarcoid can be very difficult to remove, and sometimes maybe considered by a vet to be best left alone. However, sometimes they can be severe and also cause inconvenience to the horse (depending on the location on the body, which can vary), and so removal is the best option. Your Veterinary Surgeon will be able to determine what the best approach is to helping manage your horse's sarcoids. As they can potentially be serious, getting veterinary advice and treatment is essential. 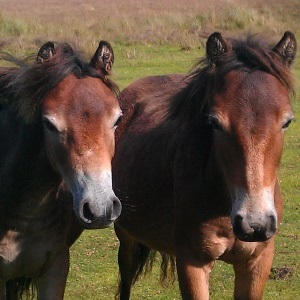 Essential Oils when used by a qualified equine aromatherapist, (who will be able to advise on the most appropriate remedy for your equine), can offer assistance in managing sarcoids. Different herbal supplements can be added to the feed. Your Veterinary surgeon will be able to advise on which maybe useful for your horse. Homeopathic remedies maybe useful in helping to prevent further sarcoids or manage any existing ones. Potential helpful remedies are Thuja and Silica, however, others may help and the specific remedy will depend on the individual horse and the particular location and type of sarcoid. Laser therapy is often used to help skin ailments, (amongst other things). Your Veterinary Surgeon will be able to advise if it may help your equine with his/her sarcoid(s). Every equine is different – with sarcoids varying considerably between horses, in how prevalent they are (do they keep recurring? ), and the type of sarcoid, different equines will experience sarcoids in varying effects, and some will respond to a treatment more quickly and more effectively than how another horse, pony or donkey will. As with all complementary therapies do seek the advice of your Vet first before using - as mentioned earlier, sarcoids can be very serious so getting the most appropriate (Veterinary advised) treatment is essential. A therapist will always need your Vet's permission before treating your animal, and regular liaison between the two professionals can often bring greater results to your animal's health anyway.